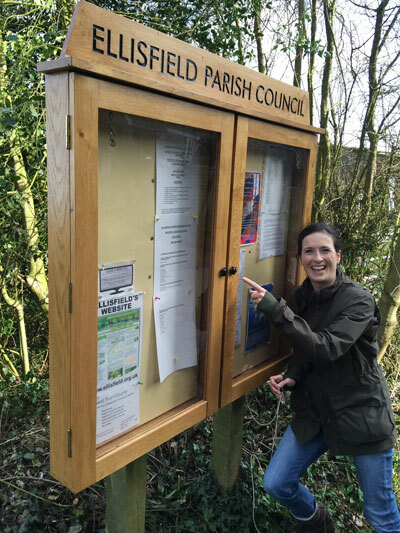 Ellisfield Election 2015 – Your votes are important! Basingstoke & Deane Borough Council, (BDBC) Electoral Services on 01256 845239 immediately. Applications to vote by proxy, or by emergency proxy due to physical incapacity or work/service reasons, must reach BDBC Electoral Registration Officer by latest; Tuesday, 28 April 2015 (5pm). alongside the General and Borough Council Elections 2015. *Current Councilor. ** Current Chairman. Note; Nominees contact addresses, provided by BDBC, can be found on www.ellisfield.gov.uk and/or on your nearest Ellisfield noticeboard. This entry was posted in Elections, News and tagged election 2015 on 23rd April 2015 by charlie. Please see the attached document (pdf) giving details of the persons nominated and notice of poll for Chineham, Ellisfield, Steventon and Upton Grey in Basingstoke and Deane. 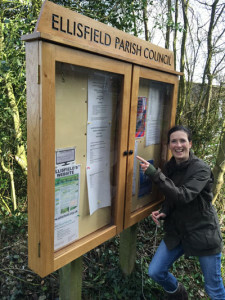 This entry was posted in Councillors and Parish Clerk, Elections on 11th April 2015 by charlie. Could I please remind you that nomination papers will be only be accepted until 4pm on Thursday 9 April 2015, nomination papers and forms of consent must be delivered by hand to Electoral Services, Civic Offices, London Road, Basingstoke during office hours (Monday to Friday between 10.00am – 4.00pm). An appointment should be made for final checking and deposit of their nomination papers, so they should call 01256 845298 prior to their visit. When making an appointment, they should allow sufficient time for them to get signatures on a new form, should the submitted form be found to be invalid. Please note that appointments should be made before the last day for submission, as experience has shown that it leaves insufficient time for candidates to correct invalid nomination papers. It is their responsibility to ensure that your nomination papers are delivered in the correct manner and by the required deadlines. We recommend that the candidate or someone they trust hand-delivers them, so you can be sure they are delivered to the Returning Officer in time. This entry was posted in Uncategorised on 8th April 2015 by charlie. This entry was posted in News on 2nd April 2015 by charlie.